Hardwood Frame Construction – Volume Discounts available! Attractive Medium Oak Stain Base, Science Table. Overall height of all tables is 30″H. DuraSurf Top Panel available in Black with standard radius edges for comfort. Ships Assembled – just bolt the hardwood legs hardwood frame, legs include rubber boots. Durasurf Science Tables – Acid resistant characteristics similar to solid epoxy. The core is MDF and coated with an epoxy powder 3-5 ml finish. Maximum acid and scratch resistance. Suitable for use in K-12 science laboratory applications. Scroll to learn more about table top surfaces. Optional Book Compartments great way for your students to store their books and computers. 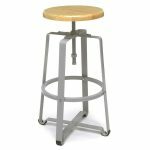 Outfitting your STEM or Science Lab, or your Art Department? How do you know the best table top surface for your application? Here’s the list of the Top 5 Science Table surfaces available and how they compare. 1″ industrial grade particle board core laminate with standard HPL (High Pressure Laminate). This durable surface is like your kitchen counter top and suitable for areas that are not exposed to acids or reagents. The 1″ table tops are laminated with chemical resistant “ChemSurf”. Suitable for all K-12 science laboratory situations. The cannot be used in areas with high acid concentrations. 3/4″ phenolic resin core with a chemical resistant surface. Water and heat resistant and suitable for use in K-12 science laboratory applications that do not require maximum acid resistance. Call for pricing for any size Epoxy Resin Science tables for your laboratory. Individually molded solid core tops. Suitable for use where maximum concentrations of acids are used. Water and heat resistant. Additional information, specific acid resistance and performance specifications are available upon request. Where do we have our meeting? Today’s work environments and needs have changed. From formal to casual to multi-use to specific use, Bakagain has what you need with exciting and multiple styles of Conference Tables. Rejuvenate any room with a new Conference or Meeting Table. Check out our Conference Seating too! Refresh your environment with Our Net Series Tables & Chairs. are one of our most versatile series in that they can be used both indoors & outdoors. The entire Net Table & Net Seating Series is GreenGuard Gold Certified. Frosted Glass Tops are offered in two sizes: 27.5″ round & 17.75″ round sizes. Net Tables are IN STOCK & Ready to Ship today! Add the Net Tables to your Dining area, Gazebo, Lanai & Public Gathering Spaces. 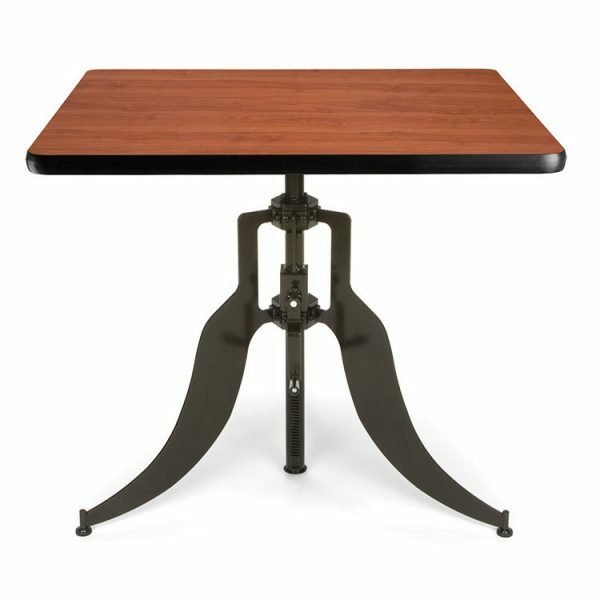 Our 30″ and 36″ Square Adjustable Height Dining Table quickly adjusts from standard height to cafe height and offers 4 different laminate finishes. It works well in your home, cafe, breakroom or healthcare setting. These tables bring a stylish, modern look to any space. Dark Vein finish base, laminate top and nylon leveling glides. We are happy to assist you with specific selections and questions you may have regarding your healthcare furniture choices. Designers on staff, don’t pay high traditional dealer prices! Call 336-701-2333. Quantity Discounts Available. We Ship to Your Town, USA!! 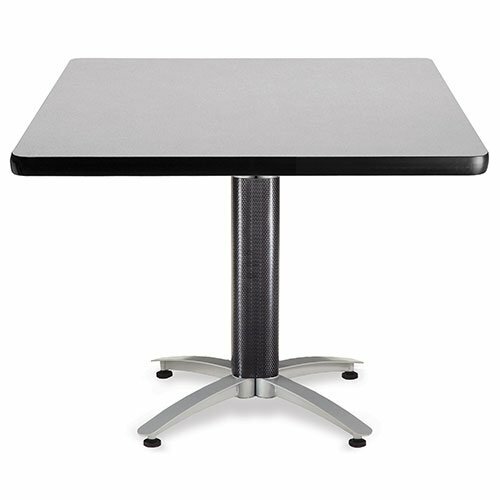 Our 36″ & 42″ round or square MultiPurpose Tables work well in your home, cafe, breakroom, dining room or healthcare setting. These tables bring a stylish, modern look to any space. 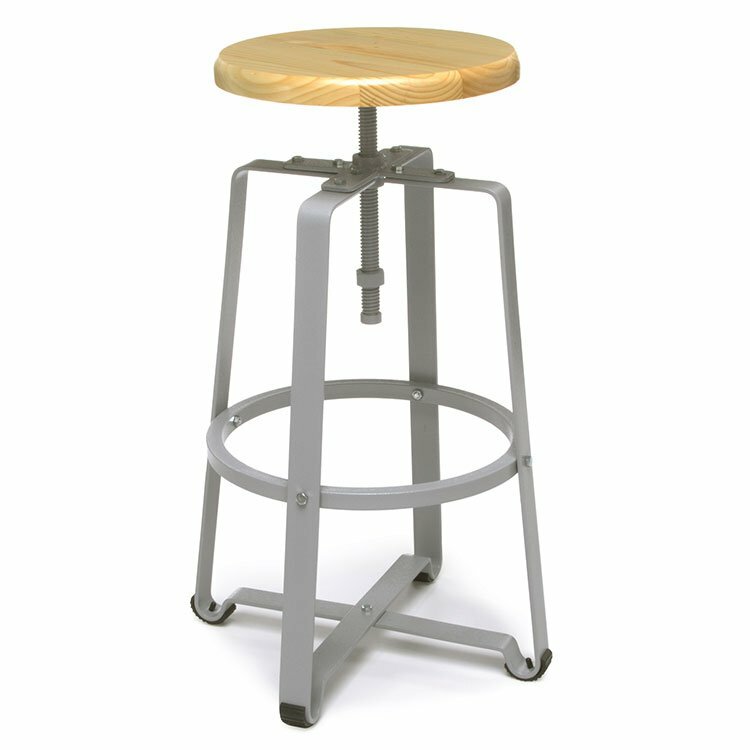 Metal base, laminate top and nylon leveling glides or optional casters. Quantity Discount Available or Pair with Chairs! The contemporary Endure Standing Height Table No Seats design allows you to sit or stand while you brainstorm. Choose the Dry Erase Whiteboard tabletops and get sketching. Time to share and collaborate? Stow the stools under the table tops and co-workers have freedom of movement around the table to share ideas unencumbered by seating. All the while your mobile device is being charged using the built-in electric / USB charger. One simple design in our Post Leg Base Lounge Tables that meets the expectations of many! The configurations are endless and allow you to personalize your space. The 1.25″ thick, hi-pressure laminate tops come in 4 finishes including Cherry, Gray, Mahogany and Oak. The contemporary Endure Standing Height Table Seats on 1 Side design allows you to sit or stand while you brainstorm. Choose the Dry Erase Whiteboard tabletops and get sketching. Time to share and collaborate? Stow the stools under the table tops and co-workers have freedom of movement around the table to share ideas unencumbered by seating. All the while your mobile device is being charged using the built-in electric / USB charger.